Post Tagged with: "Beware the Villa Group Timeshare"
Beware the latest scam in timeshare! The timeshare industry is in the grips of a new type of scam: fraudulent activity that targets genuine timeshare companies with slander and false news. Contrary to what the real scammers want you to believe, the Villa Group timeshare company, like many of its legitimate competitors, is not a scam. 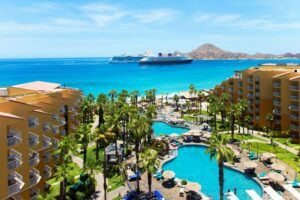 Timeshare cancellation and resale companies are plowing lots of money into misrepresenting the top timeshare companies in the hopes of attracting timeshare members to their fraudulent cancellation services. What kinds of things are the scammers saying about Villa Group timeshare? One of the ways that timeshare cancellation scams try to discredit genuine timeshare companies like Villa Group is by saying that they are scams. Contrary to what these slanderous accounts may wish you to believe, the Villa Group timeshare division has been an established timeshare developer and operator for more than 30 years with thousands of active members. The Villa Group is an entirely legitimate timeshare developer with an outstanding reputation in Mexico; there is nothing to be worried about when dealing with the Villa Group or its affiliates. Another example of the kind of fake news published by timeshare cancellation scammers about the Villa Group timeshare is what they say about the company’s sales practices, claiming that Villa Group staff employs aggressive and unethical sales practices in order to get your money. Of course, this might be true of a very small minority of timeshare providers, but the Villa Group timeshare and their associated brands do not condone or partake in such behavior. Simply perusing the reviews, member testimonials, and news reports surrounding the Villa Group timeshare products should be enough to show you that you have nothing to fear! The truth is simple: The Villa Group is a luxury timeshare provider which currently offers its members access to resorts in five top Mexican tourist hotspots. Cabo San Lucas, Cancun, the Islands of Loreto, Puerto Vallarta, and Riviera Nayarit all feature Villa Group timeshare resorts. All of these Villa Group timeshare resorts are beautifully built and designed, with luxury accommodations, spas, and pools. The facilities and amenities are second only to the units themselves which range from small but beautifully formed studios to expansive, luxurious penthouses. Working in partnership with UVCI (Universal Vacation Club International) the Villa Group timeshare has been providing great experiences to customers for nearly 30 years! Unfortunately, UVCI has also been slandered by cancellation scammers, with claims that are simply not true. While no company can claim to have never had a complaint, UVCI and Villa Group timeshare by and large have positive reviews and testimonials to their name and deal with complaints in an effective manner. Our Verdict: You have no reason to fear or beware a scam from the Villa Group timeshare in Mexico.